Skeletal muscle is a striated muscle. It consists of muscular fibers (cells), connective tissue (support), nerves and vessels. 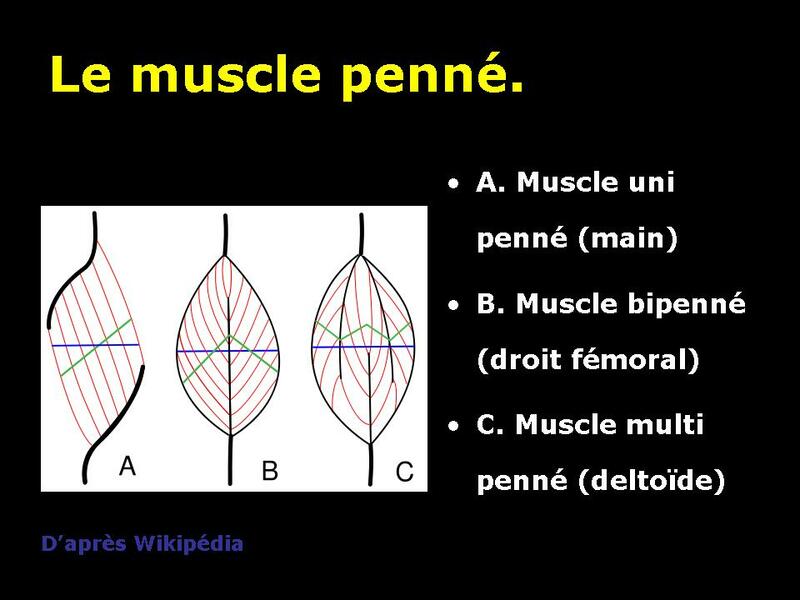 Within a muscle, the muscle fibers are grouped in bundles which form a muscle. – Around each muscle: an epimysium. The tendon is the structure that allows the attachment of the muscle to the bone. It consists of collagen fibers. Fascia is a fibrous structure surrounding or penetrating the muscle. The fascia serves as the skeleton muscle. The muscle bundles, with their support structure (epimysium and perimysium) are inserted firmly on the various fasciae. Fascia end with the tendon. Fascia and septa are meeting several fascia that define and make join several muscles. (Wikipedia Sources). 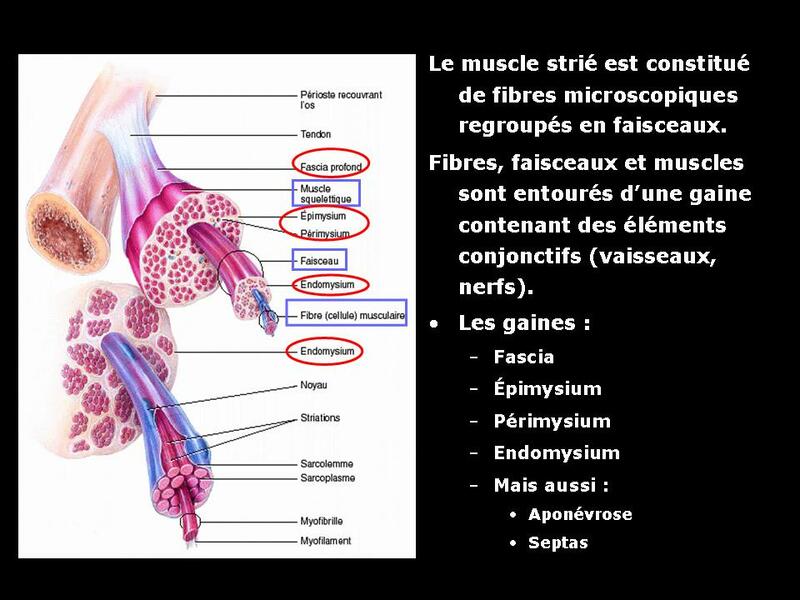 The type of organization of muscle fibers within the muscle around the fascia, will give different energy properties. 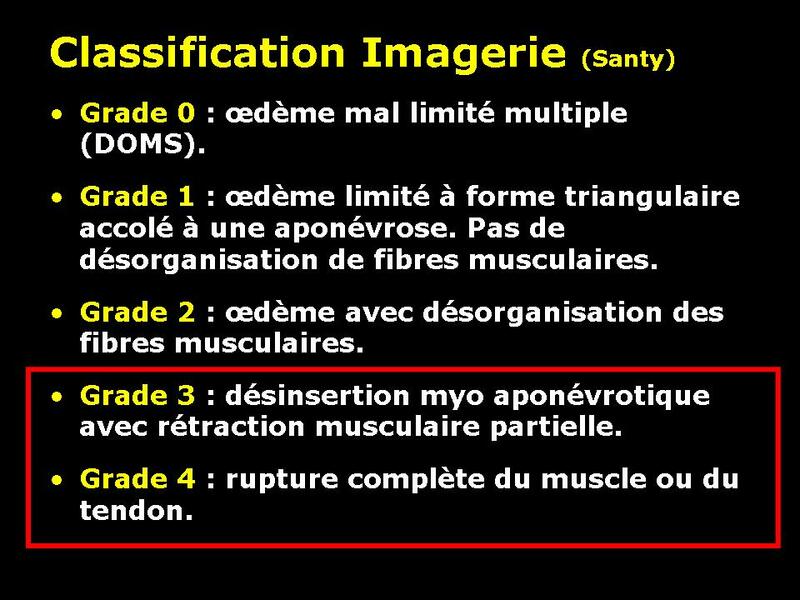 We will thus distinguish pinnate muscles mono, bi or multi pinnate pinnate. 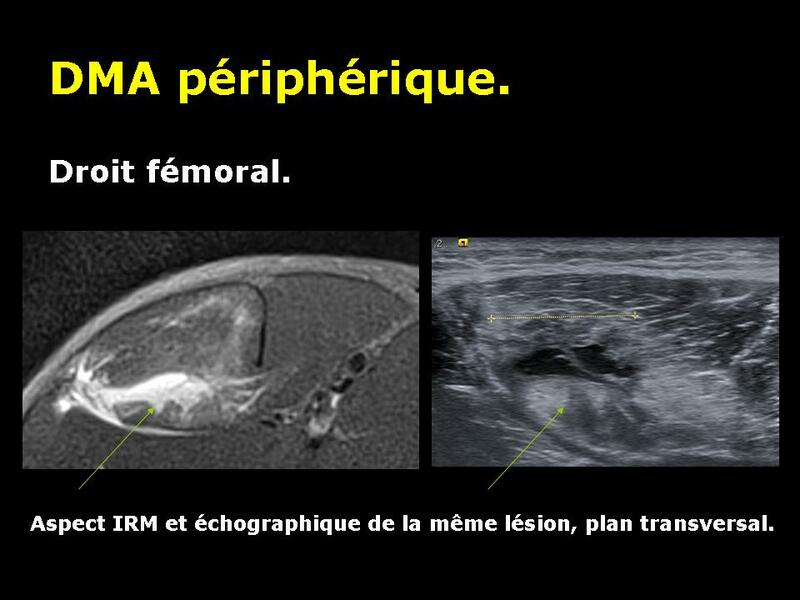 Two different techniques are commonly used for imaging muscle trauma: ultrasound and MRI. Ultrasound is the most economic and most accessible technique. Based on the emission and reception of ultrasound, this technique does not emit ionizing radiation. 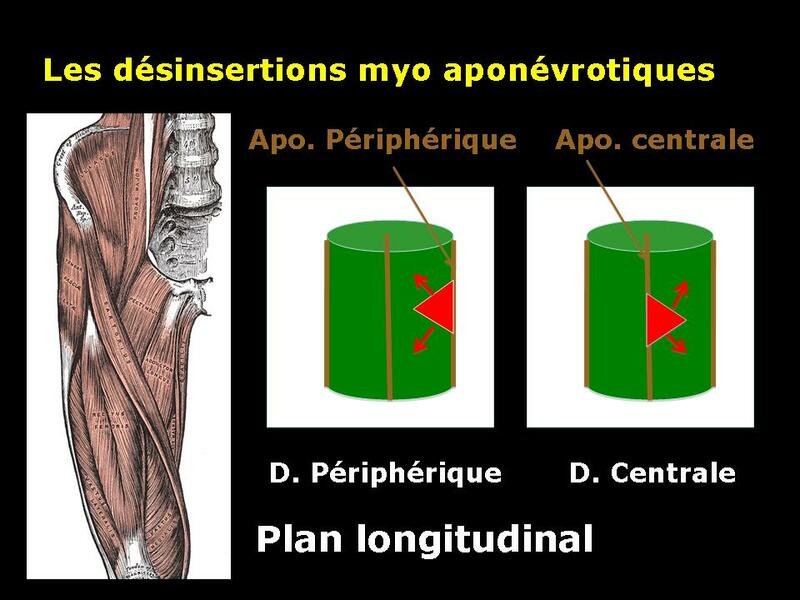 This technique has an excellent definition to analyze directly the muscle fibers and fascia. 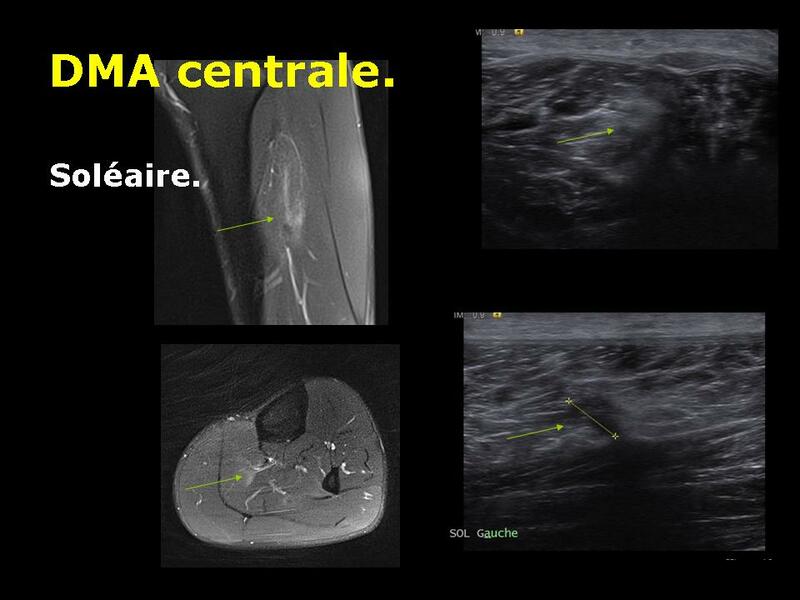 It is somewhat less sensitive than MRI to see edema and bleeding. MRI is a very sensitive test for the detection of muscle diseases. Based on the recognition of the water signal (protons), this technique detects the areas of edema and hemorrhage. Muscle fibers are not directly visible. The type used is the sequence T1 and T2 especially with deletion of the fat signal. Detect a violation of the muscle fiber. provide any indication of surgery, drainage. 3. 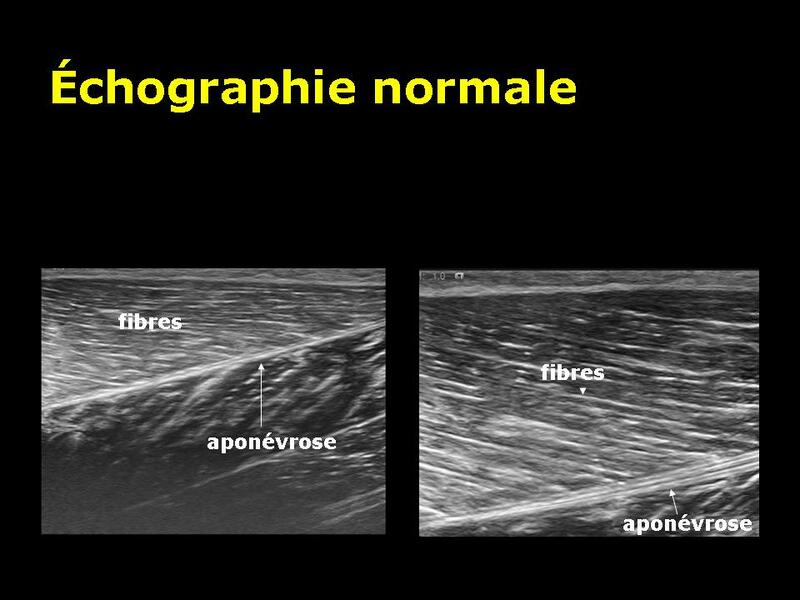 The different types of traumatic muscle and tendon injuries. 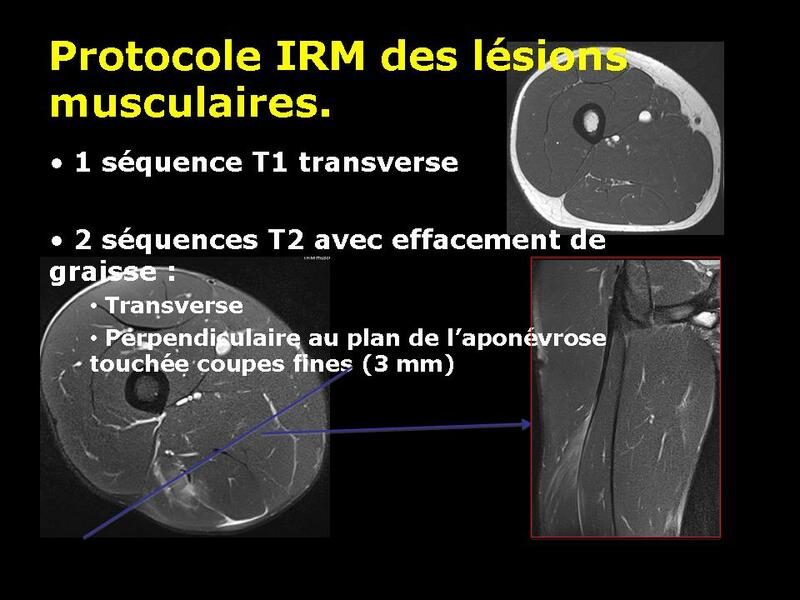 There are two types of muscle injury mechanism, injury by direct or extrinsic shock (contusions) and indirect damage by shock or intrinsic (rips or myo-fascial disinsertions). 3.1. 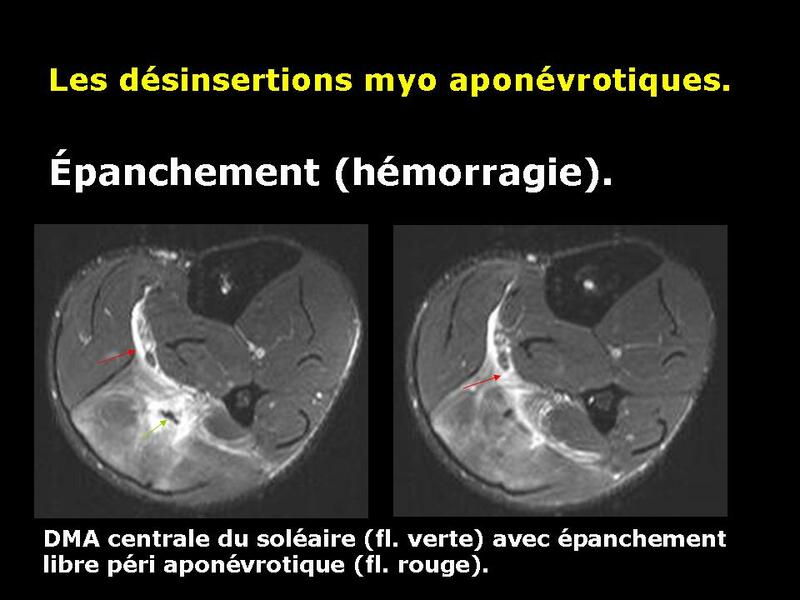 Intrinsic lesions: myo-fascial disinsertions (DMA). aches, pains that occur after exercise and correspond to muscle fatigue. cramps, painful involuntary contractions caused by muscle fatigue. They occur during and after exercise. contractures, contractions localized to a part of a muscle. They occur with the waning of one year but may reappear during the next year. sprains, muscle injuries with minimal stretch fibers and sometimes rupture of some fibers. rips or myo-fascial disinsertions, disinsertions muscle fibers of connective their support, the fascia. total or partial tears muscle. Stage 4: partial or total rupture of a muscle. 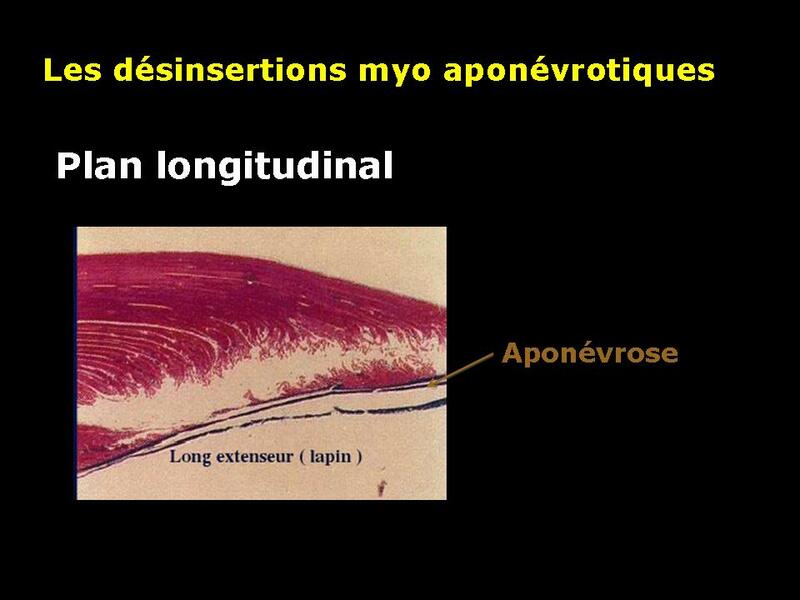 Muscle avulsion is almost always occur at the junction between muscle and fascia as shown in this slide experimental rabbits. According to the central or peripheral location of the fascia affected by disinsertion, we speak of central or peripheral avulsion. 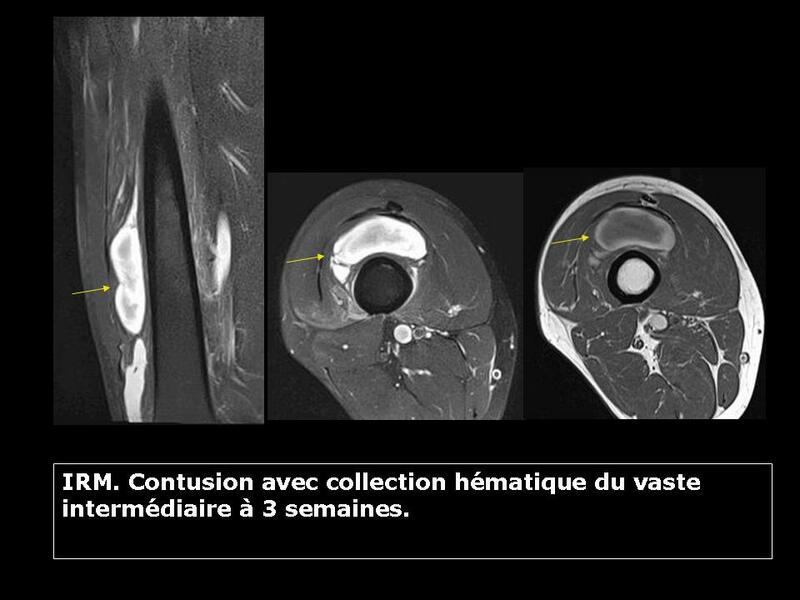 Muscle avulsion causes bleeding that will be located around the periphery of the muscle fascia of the device. This bleeding can in some forms (severe) collect in muscle contraction zone. 3.2. 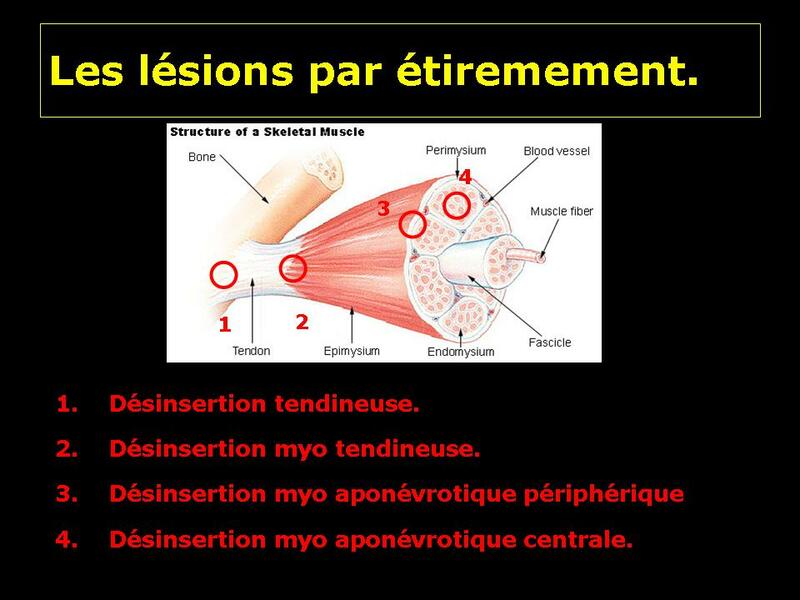 Extrinsic muscle injury: muscle contusions. This is a strength crushing mechanism between a wounding external agent (opponent knee for example) and a bone. The typical case is the contusion of the vastus intermedius muscle quadriceps. This type of injury causes a bruise that will evolve. 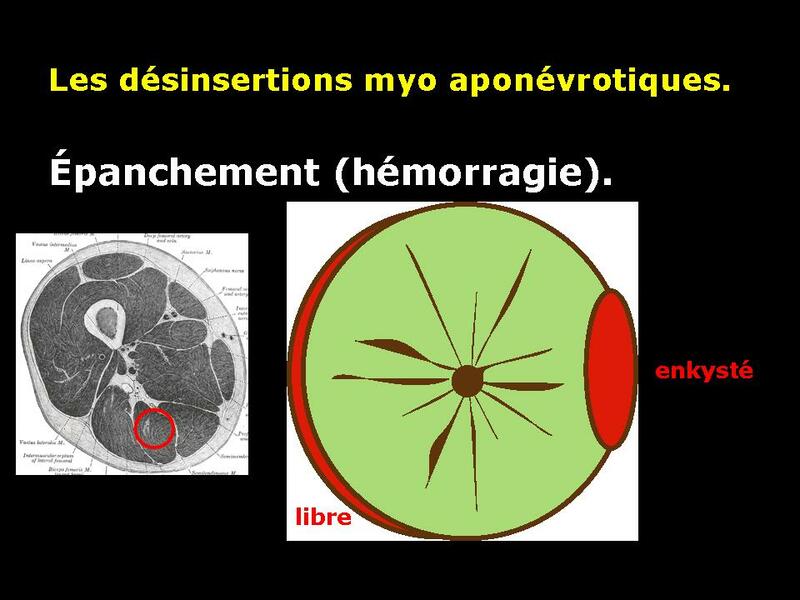 There is no deinsertion myo fascial associated. The muscle bleeding first appears as a hemorrhagic suffusion that can quickly disappear if mild contusion or organize as a hematoma collected fluid. This liquefied hematoma will form a peripheral shell. Its evolution is slow. It can sometimes ossify realizing a type of appearance “cuttlefish” in muscle. 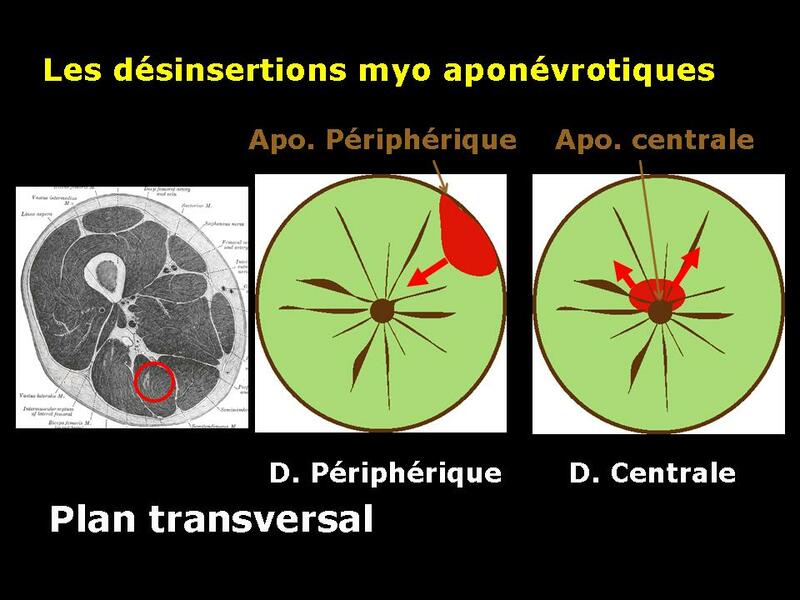 There may finally have periosteal ossification in contact with the bone in relation to the evolution of a periosteal hemorrhage. 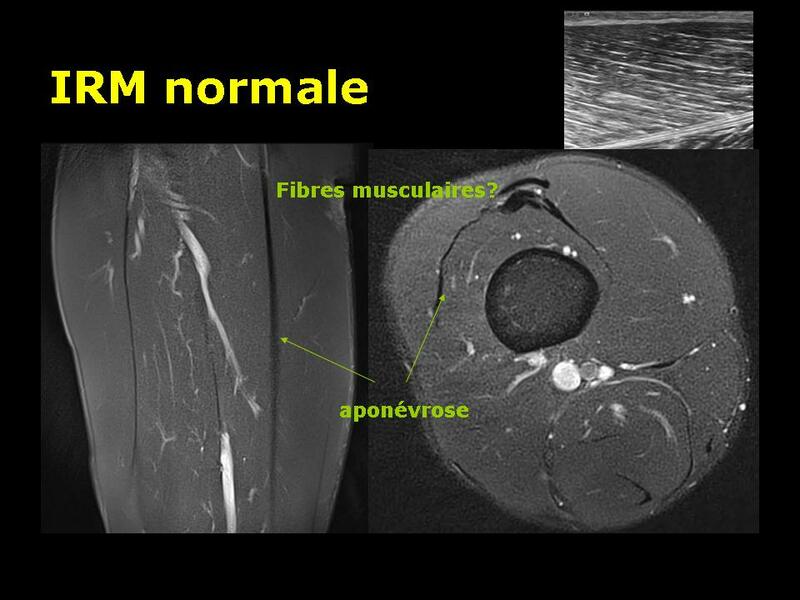 Previous Previous post: Muscle strain.